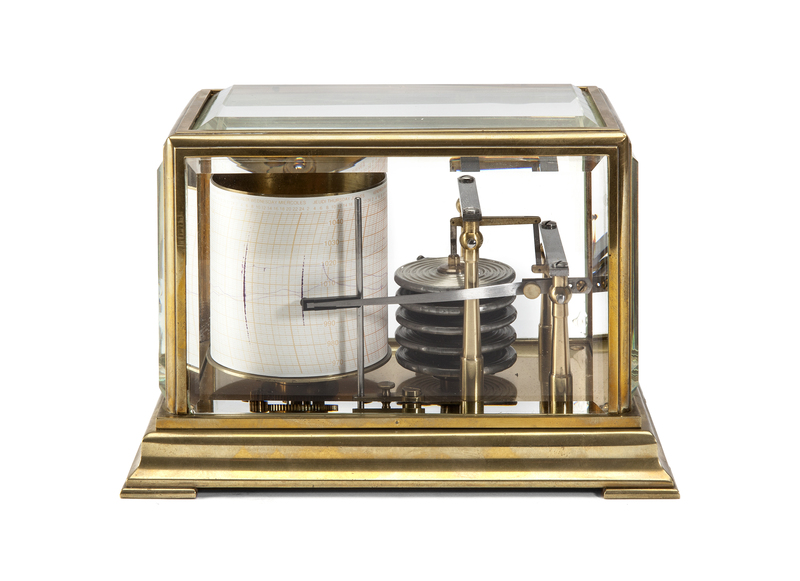 This precision device records the atmospheric pressure accurately on calibrated graph paper during a week. The barograph has a clock movement, situated in a rotating drum, which it drives full circle in a week. The spring-driven, week-going brass movement has a platform escapement with hairspring balance. It is wound from the top of the drum with a key. 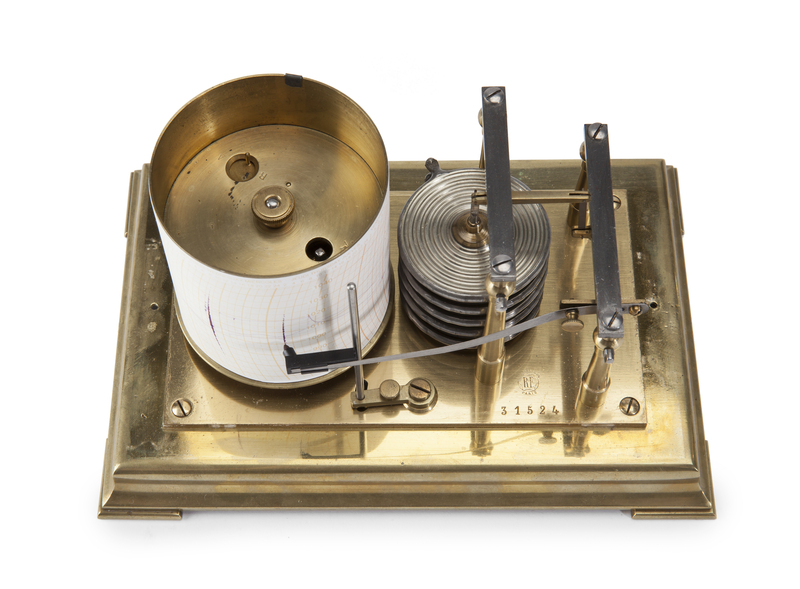 To the right of the drum is a metal multi-chamber bellows (aneroid barometer), which guides an ink-filled recorder pen over the graph paper attached to the drum, indicating the atmospheric pressure in millibar. The brass case has facetted glass windows on all sides so that the mechanism is entirely visible. To the left is the drum on which the atmospheric pressure is recorded. The metal bellows is in the middle, whilst the recorder mechanism is to the right. The top of the case can be removed to access the mechanism, which is situated on a rectangular gilt-brass base. It is marked with the monogram R.F. Paris and the number 31524. The whole rests on four feet. The initials R F stand for Richard Frères (Richard Brothers) who were active in France in the last quarter of the 19th and the beginning of the 20th centuries. Jules Richard developed the instrument with a light-weight hollow pyramid-shaped pen, filled with slowly drying ink. Bert Bolle, Bert Bolle, Barometers in beeld, Lochem, 1983, Ch. 17.